Shri Kantibhai(Acharya Shri Bhuvanbhanu Soorishwarji Maharaj) was born on the 6th day of the bleak fortnight of Chaitra in Vikram Era 1968, in a highly cultured and distinguished family in Ahmedabad. 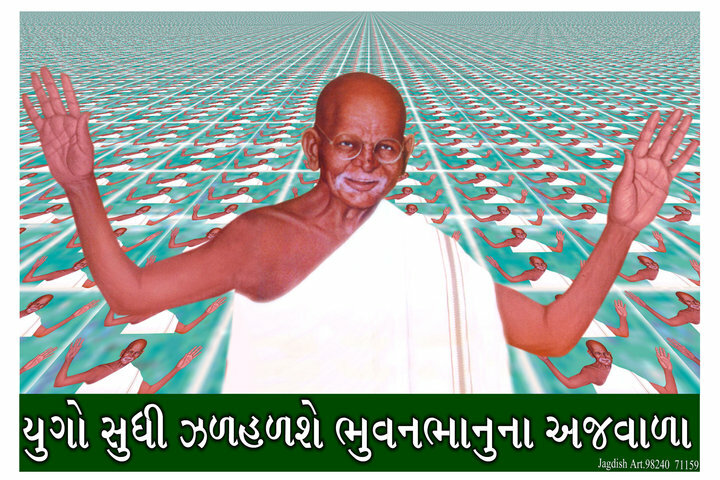 He was the second son of Shri Chimanbhai and Shrimati Bhuriben. He received academic education and passed, with distinction, a Banking Examination of England of those days and thus showed his in-born intellectual brilliance. When he was a buoyant and brilliant youth of 23 years; with overflowing intellectual potentialities, he, along with his younger brother Popatlal renounced the splendor of the worldly life; and received initiation into the Charitradharma at the holy feet of the Venerable Acharya Shri Premasoorishwarji on the 12th day of Paush Sud (the bright fortnight) in the year 1991 of the Vikram Era, in Chanasma, in Gujarat; and become Muni Bhanu Vijayaji. His younger brother become Muni Padma Vijayji, Later, another younger brother of his become a muni under the name of Tarunvijayji; and his younger sister received the Deeksha and became Sadhvi Hansakirtishriji. Bhanuvijayji made on in-depth study of the Jain Agams and the various systems of the Western philosophy; and he attained mastery over such branches of knowledge as logic (Nyayshastra), while he was carrying out scriptural studies and teaching the scriptures, his innate talent for delivering elevation discourses also began to blossom forth into blissful dimensions; and a large number of educated youngsters become his disciples (Shishyas). He organized training camps (Shibirs) and through them he showed the way of discipline, culture and noble conduct to thousands of youngsters and inspired in them lofty spiritual ideals. Besides, carrying out such lofty tasks as scriptural studies and meditation, he established a permanent record by carrying out a special Jain spiritual austerity called the Vardhaman Ayambil Tap. It is a unique experience to hear him singing devotional songs with his sweet but lofty voice, swaying with devotion, taking its origins from the depths of his poetic genius; or to see him writing out his reflections late into the night in the dim moonlight. He is the spiritual head of a hundred and eight five disciples who are Sadhus; and has written one hundred books. 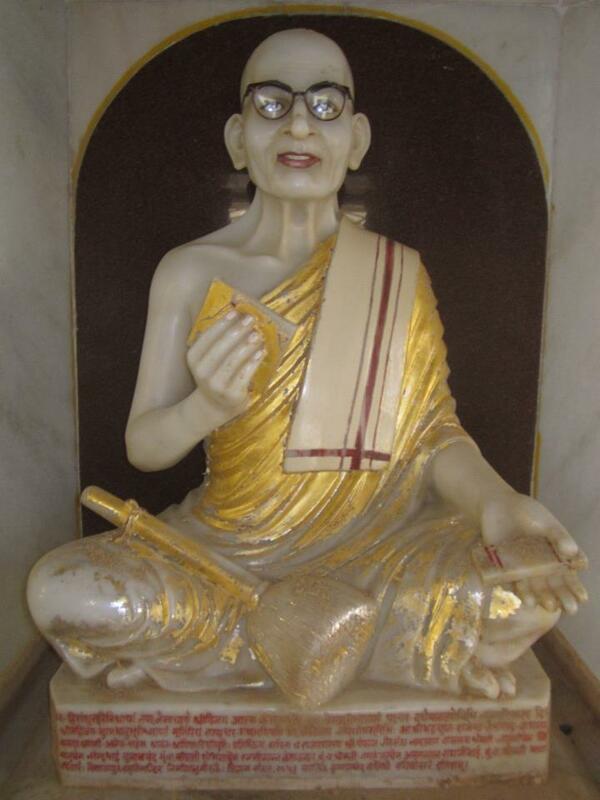 Bhuvanbhanu Soorishwarji became on Acharya on the second day of Magasir (bright fortnight) in the year 2029 of the Vikram Era. He carried out Padyatra in Bihar, Bengal, Gujarat, Maharashtra, U.P., walking thousands of miles; and now even at the age of 77, he has been showing the right path to thousands of people to attain serenity and felicity. His writings appear regularly in " Divyadarshan" a Gujarati weekly and thus the mighty stream of his lofty contemplations keeps flowing. Bhuvanbhanu Suri Smruti Mandir is located at Pankaj society,Ahmedabad.